How often have parents entered a child’s tidy and organized room only to encounter an avalanche of stuff upon opening of the closet door? On the surface the parent is initially delighted, but upon closer inspection such delight turns to disappointment. Such a mess cannot be hidden by simply closing the door. Sadly, many Christians attempt to conceal their sinful mess from God and one another in the closets of their minds while living each day according to earthly values. 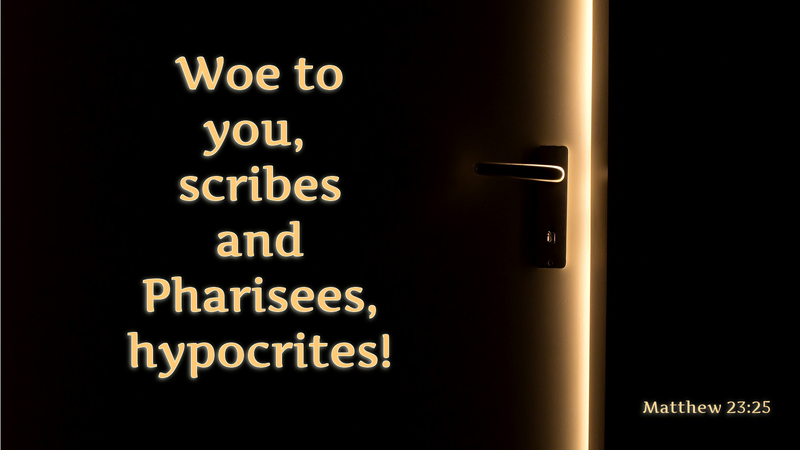 In our Reading, Jesus warns the Scribes and Pharisees that even as they present themselves as righteous before others, God knows they do not practice what they preach. These teachers of the law cared only for their ideals and traditions, while lacking in faith and love. Christians who live in such a way as to present themselves as righteous before others, yet fail to live the life of faith in private, face the same rebuke from Christ. We cannot hide our mess from God. Believe it or not, others see through our charade as well. Thankfully, through Christ we are able to repent, receiving God’s mercy and forgiveness as we strive to follow the path toward righteousness. Prayer: Create in me a clean heart, O God, and renew a right spirit within me. Amen. This entry was posted in Lent, Repentance and tagged Christian, Christianity, Confession, Discipleship, Faith, Faithful, Forgiveness, Grace, Repentance, Salvation, Sin. Bookmark the permalink.